The Barrie Art Club - $WEW: Murray Van Halem: Oil or Acrylic: Painting the Town! $WEW: Murray Van Halem: Oil or Acrylic: Painting the Town! Painting the excitement of a cityscape! This workshop will focus on the principles of perspective. Using paint, brush and pallete knife, we will create a street scene and add all the fun details you may find on a street. People, cars, utility poles and wires, etc. 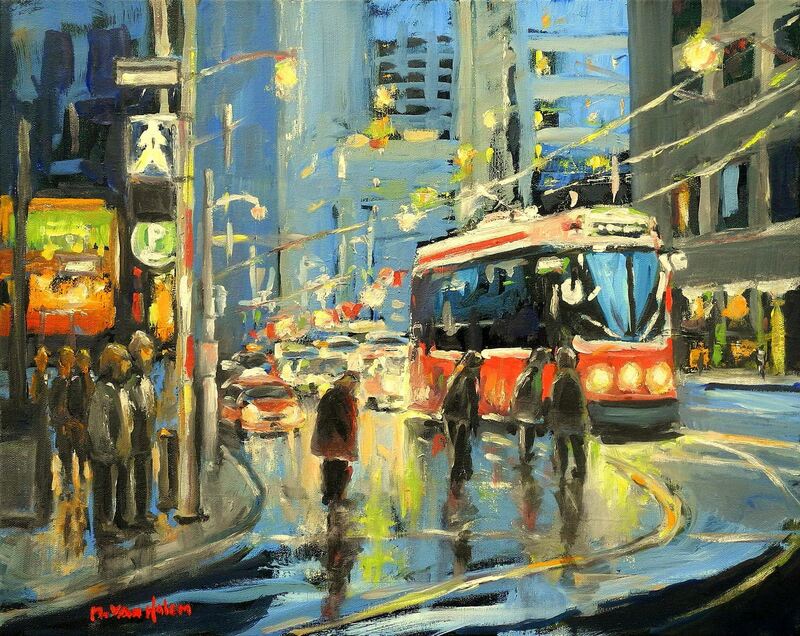 Murray Van Halem is a landscape and portrait painter living in Victoria Harbour. He has exhibited and instructed at the Orillia Museum of Art and History, Quest Art School and Gallery, Collingwood Library and facilitates workshops at his own studio. Murray is a multi-year exhibitor of the Coldwater and Images Studio Tours.